Reg: $779.00 You save $52.00! 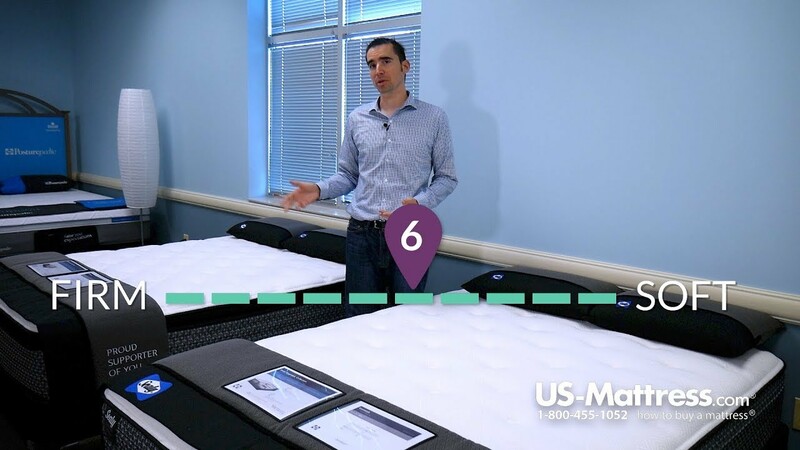 Are you on the lookout for a mattress with a soft yet supportive feel and want it to be cost-effective? The Full size Sealy Response Essentials Townhouse IV Plush Euro Top Mattress may be a great choice for you. With an affordable price tag and a rating of 6 on our Comfort Scale, this single sleeper model is specifically designed to offer a balanced combination of comfort and support. Noteworthy features in the Townhouse include a layer of Sealy Cushion Air Foam right on top. This layer contours well to the body, resulting in better airflow and pressure relief that helps minimize tossing and turning. A layer of Sealy Cushion Air Foam further improves pressure relief while boosting durability. The layer of SealySupport Firm Foam is akin to a foundational foam because it provides a solid underlying feel. Support to the back is provided with the help of the Sealy Response Coil System, an individually wrapped system in which each coil adjusts independently in order to closely contour to your body while ensuring solid support. This system is compatible with an adjustable base, and it can isolate transfer of motion when movement occurs. You can rest all the way from edge to edge without much of a change in comfort or support thanks to the SolidEdge HD Foam Encasement. To sum up, I think that the Full size Sealy Response Essentials Townhouse IV Plush Euro Top Mattress is one of the more comfortable firm mattresses available in the Essentials collection. It conforms well without feeling exclusively soft or firm. King 11.5" 76" 80" 71 lbs. Cal King 11.5" 72" 84" 71 lbs. Queen 11.5" 60" 80" 56 lbs. Full 11.5" 53" 75" 46 lbs. Twin 11.5" 38" 75" 33 lbs. Twin XL 11.5" 38" 80" 36 lbs. I found it's the most comfortable mattress for the price. Very happy with purchase.